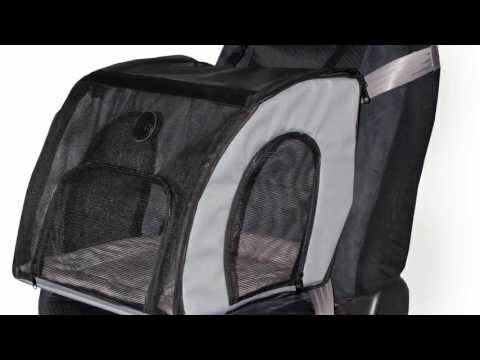 The K&H Travel Safety Carrier™ is a simple and convenient way to keep your pet safe while traveling in your car. Driver distraction is kept to a minimum when pets are kept confined and not allowed to roam. The carrier securely fastens to any seat belt, features large doors for easy access and durable side mesh panels for easy viewing, and folds flat for convenient storage.